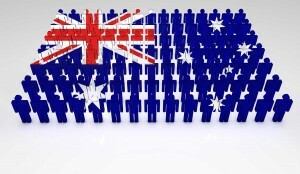 What Does the Australian Population Boom Really Mean? The latest numbers on population in Australia tell some fascinating stories. 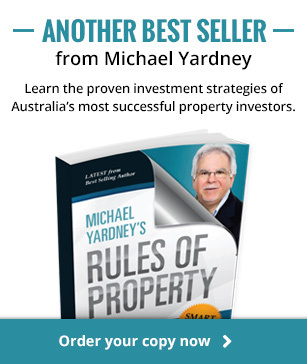 Recently Australian Property Investor magazine had a shuffle through the data to see what we could learn. As of June 30, 2014, Australia estimated residential population was 23.5 million, an increase of 8.3 per cent in the five years since 2009. That’s what the Australian Bureau of Statistics (ABS) figures tell us, and they’re pretty trustworthy – though not completely infallible, as property research expert John Lindeman points out. “The data in these publications are estimates, updated from previous estimates. The only time our population change and growth is accurately measured is very five year with the Census of Population and Housing. 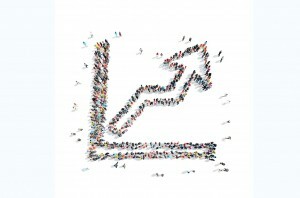 So, what exactly can population numbers and growth reveal to the property investor? It certainly pays to be cautious when examining figures such as these. As with any area of due diligence, giving too much weight to one element can result in a distorted view. Areas where population growth is strong can sometimes fall victim to oversupply, for example, as too many developers move in to take advantage of the growing numbers. Lindeman explains that population numbers essentially refer to the size of a local housing market. “While some experts state that there should be a certain minimum of people in any areas, what’s more important is the nature and diversity of the local economy, a healthy sales turnover and sufficient properties on the market. It’s also important that an area, particularly a regional or remote one, has local real estate agents, property managers, building inspectors, conveyancers and locally base tradespeople to do maintenance and repairs when necessary. Population growth is one of the three demand dynamics of housing markets – growth creates more demand, but this may be for rentals rather than buyers. While New South Wales is currently home to more Aussies than any other state – just less than one third (32 per cent) of the entire population lives there – growth in the state is far from the highest. Victoria saw the greatest growth in the five-year period covered in the ABS estimates, with a population up by 469,700 people, followed by NSW (464,700) and Queensland (393,700). However, it was Western Australia that had the fastest growth, the population there increasing by 15 per cent, compared to Victoria’s comparatively measly 8.7 per cent (and NSW was even less). Indeed, it’s the lack of growth compared to other capitals, according to Lindeman, along with a shortage of suitable housing stock and high investor demand that has kept the Sydney market strong. Interestingly, Western Sydney is currently growing faster than the rest of the city. Poor old Tasmania’s population growth is languishing at the bottom of the table, with an increase of just 10,400 people (2.1 per cent). Again, Lindeman points out the importance of questioning the data. “We need to look at the sources of growth or change, overseas migration, interstate migration and intrastate migration – they affect the housing market in very different ways,” he says. Also, don’t use the net interstate migration figures, because they hid the large inflows and outflows that take place. Age distribution is another facet of the ABS data that can be worth taking a look at, in order to gain an understanding of demographic trends. 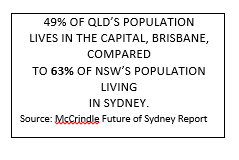 A perhaps not surprising feature of the figures is the fact that people in the 20-39 age bracket are represented more heavily in capital cities – they make up 31 per cent of the combined capital city population, compares to 24 per cent of the population in the rest of Australia. The report itself points out that “this reflects the attraction of younger adults to education, exmploymetn and other opportunities in capital cities”. Lindeman says we need to be aware, when looking at age statistics, of several things, not least those groups within age population categories fall into different categories of their own. Areas with large numbers of elderly people, Lindeman says, are at risk of price falls as those people start to pass away or move to hospices and the children or grandchildren sell the property in order to obtain their inheritance. “What’s far more critical is a rising retiree population, because that’s a good growth indicator,” he says. Popular retirement destinations thrown up the ABS data include the Southern Highlands and Shoalhaven in NSW, Wide Bay in Queensland and the southeast region of Tasmania. 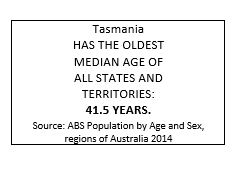 Indeed, it’s Tasmania that has the oldest median age of all the states, at 41.5 years. Places with the highest median ages tended to be located in coastal areas, particularly in NSW, with Tea Gardens-Hawks Nest, near Port Stephens, boasting a median age of 60.6 years. This, of course, suggests a seriously ageing population, not just one that’s heading for retirement, and therefore places such as Narooma-Bermagui on NSW’s south coast, Portarlington in Victoria, Cooloola in Queensland and Moonta in South Australia, with median ages of 56.8 and 55.5, 55.1 and 52.3 respectively, might be better focuses for rising retiree populations. Clearly, data on baby boomers is something really worth looking out for, and ABS dutifully provides this. Areas where boomers (i.e. those aged 48 to 67) are predominant include the Benalla and Castlemaine regions of Victoria as well as Otway in that state, Magnetic Island and the Maryborough region of Queensland, Toodyay in Western Australia and the Kempsey, Bega-Eden Hinterland and Eurobodalla regions of NSW. In all of these areas, baby boomers make up more than 37 per cent of the population. However, he emphasises that it’s not simply a case of saying it’s all students renting in younger areas and retirees buying in the older areas. “Many young people leave regional and rural areas to move to inner suburbs in capital cities, causing higher median ages and population drains in the areas that they vacate. They also move from Tasmania and South Australia to the eastern mainland capital cities, causing higher rental demand in those capital cities to their retirement dwelling. Comparative price is important, leaving a nest egg for the future, as is the cohort effect, which is when more people of the same age move to an area, but avoid areas with large numbers of older retirees,” he adds. 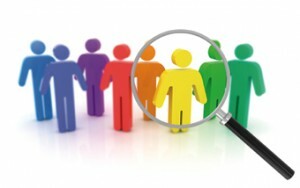 One of the more helpful things investors can glean from the population data, and particularly that information about age groups, is where the largest proportion of the working age population reside, i.e. those aged from 15 to 64 years old. These statistics are relevant because it’s the people within this age group that tend to have the most cash flow and therefore the largest influence on property markets – any younger and they don’t buy or rent houses, much older and they’re heading towards medical and retirement facilities. With its predominantly younger demographic, the Northern Territory is home to the highest proportion of working age people – 71 per cent in total. 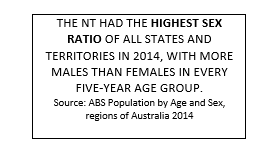 Within Greater Darwin, the places that are home to the largest numbers of this age group are Darwin City, Berrimah and Larrakeyah. 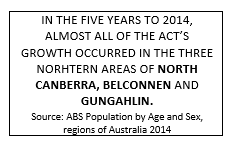 The ACT’s working age population seems to be centred on education facilities, with Page, northern Canberra and Isaacs topping the lists there. Not too surprisingly, Tasmania’s largest working age spot was Hobart, followed by Mount Nelson and then Invermay in Launceston. WA sees most of its workers living in the area of the East Pilbara, though it’s worth remembering that this is largely mining-centric. Inner-city Adelaide is where the boomers of SA like to reside, with Roxby Downs also home to large numbers, though this, again, is a mining town. 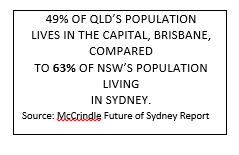 capital, while Douglas in Townsville and Cairns City also have plenty living there. People of working age in Victoria seem to favour the CBD, Southbank and Carlton, while New South Welshmen and women still pulling a wage congregate in the areas of Haymarket and The Rocks, Darlinghurst, Surry Hills and Pyrmont, while outside the city environs Newcastle, Wollongong and Wickham house the most. Whichever aspect of population data you examine, then, it’s important not to take too much at surface value, but to drill right down into the various numbers in order to determine the truly representative issues. His final reminder is to bear in mind household formation. “It’s really the number of new households, rather than absolute population growth, that creates the underlying demand for housing that drives our property markets.” Yardney says.